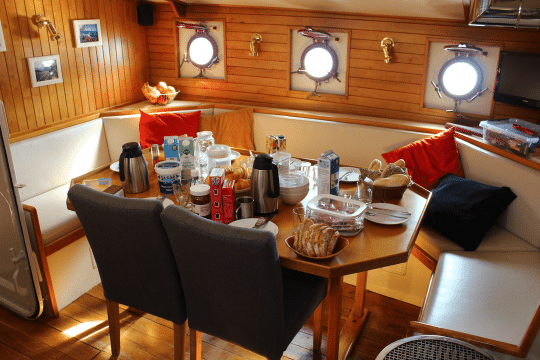 For sailing & whisky lovers – often not mutually exclusive! Join Steady for an incredible 7 days of exciting sailing and whisky tasting as we visit the distillery on Jura and then head down to Islay for an unforgettable Music and Whisky festival, where you’ll find no less than eight distilleries on this small island! 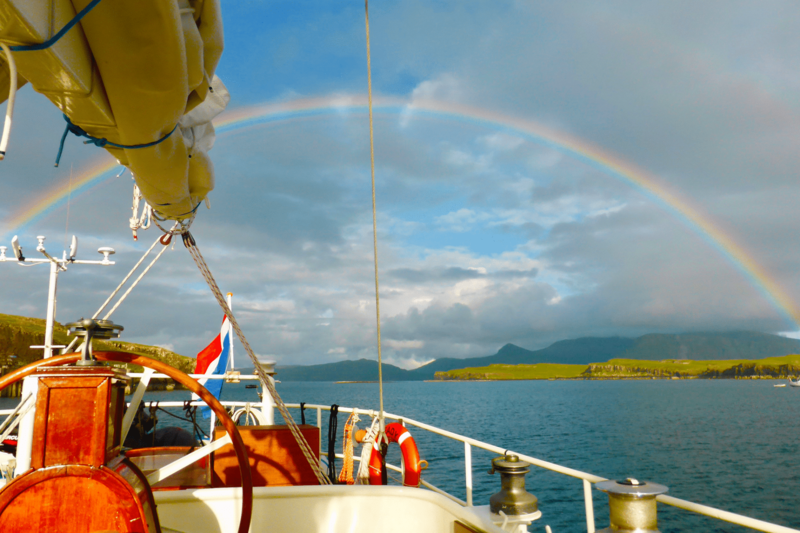 With a mixture of lochs and open water sailing, there’ll be plenty for everyone to do – or not if the mood so takes you! The following itinerary is subject to change due to wind and weather, but you’ll have sailing and whisky guaranteed, no matter what. We’ll welcome you aboard in Oban between 5-6pm. After getting acquainted with the ship and following a short safety brief, we will enjoy a home-cooked meal together and raise a glass to celebrate the beginning of your holiday! On your first full day, we sail to Crinan, a loch-side village on the West Coast. It’s an idyllic spot with breathtaking views over Loch Crinan and her surroundings. In the morning we sail to Jura where we moor at the pier in Craighouse. Here is the famous distillery, which you’ll visit for a tasting. We continue to Islay where there is a Festival of Music & Malt held at this time of year. You have time to visit your favourite whisky distilleries and listen to wonderful folk music on the coast – a real highlight of this trip. We leave Islay under sail and head for Mull where we spend the night in Loch Spelve. Here we will pick up some delicious fresh Mull mussels at the fish farm and cook them on board for dinner; the taste is truly out of this world. In the morning we go to the island Easdale, formerly the centre of the British slate industry where you’ll learn about trade and heritage. Our last morning sees us in Oban, where you’ll depart after breakfast for the journey homewards.